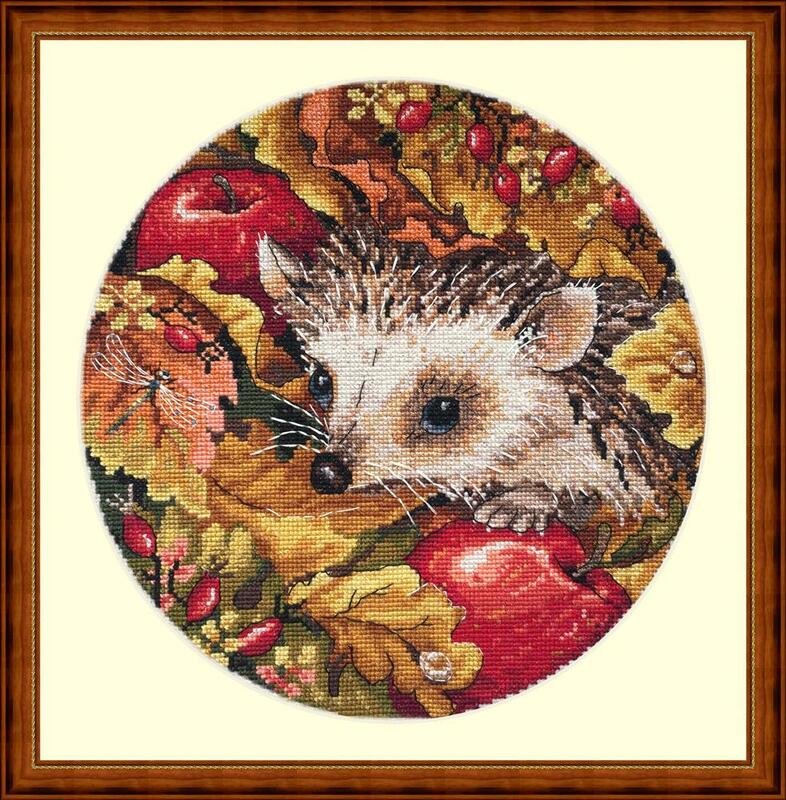 This counted cross stitch design from Merejka, features a hedgehog peeking out from a pile of autumn leaves and red apples. The kit contains Zweigart 16 count ecru aida, DMC stranded cottons, needle, chart and instructions. (©) Futureblast Limited T/S Solocrafts. All Rights Reserved.